An amazing crowd of more than 4,000 people had attended the "Life is Beautiful" meeting at Free Chapel's Gainesville, GA campus on Saturday to celebrate the unborn,reported CBN. 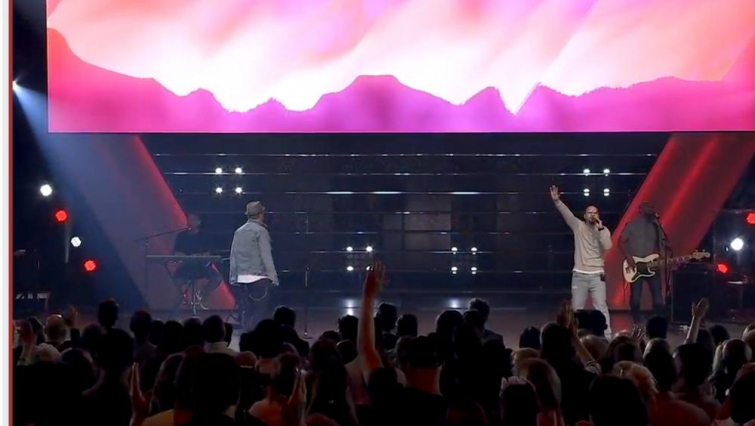 The event was organized by Pastor Jentezen Franklin and the main goal was to bring attention to the urgency for the church in America to address the issue of abortion. "We no longer have the luxury of disunity in the body of Christ"
During the openeing of the event, Franklin highlighted the recent legislation in the state of New York permitting abortion in the third trimester. He also spoke about the recent comments of the governor of Virginia who condoned allowing babies who survive abortions to be left to die. "If they're not ashamed to take that stand," he said, "then I am not ashamed to take the Word of God and say with all the love in my heart, that life matters to God and it matters to us." "We no longer have the luxury of disunity in the body of Christ," Franklin added in an appeal to all Christian denominations nationwide. "The lines have been drawn. Stand up for life," he told the audience. "And stand up for compassion and grace for those that have experienced abortion. We dare not be silent in such a time as this." Former Planned Parenthood clinic director and now a pro-life advocate, Abby Johnson, whose remarkable story has turned into the box office hit "Unplanned", also appeared at the event. "Most people who work inside these abortion clinics are not there because they love abortion. They're there because of misguided compassion," she explained as she told the story of her eight years working for Planned Parenthood. "I was very ignorant surrounding the topic of abortion. It was my ignorance, it was my naivety that led me inside the doors of the abortion industry," the former clinic director added. "I watched this perfectly formed innocent human being become dismembered in his mother's womb," she said of the moment that led to her change of heart on the issue. "I believe that all of these things that happened in 2009 were God's way of chipping through the callous that had formed around my heart. I knew then that what I had seen was a grave injustice."